Based in Milton Keynes we provide psychological and educational testing & assessment, intervention and support for adults and children. We provide counselling, coaching and are specialists in the diagnosis and intervention of those with autism. 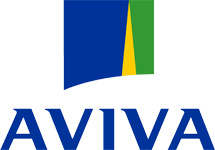 Our practice, based in Talon House, Crownhill, Milton Keynes provides psychological and educational testing, assessment, intervention and support for adults and children. We are specialists in diagnosing autistic spectrum disorders and the assessment and therapy for those with post traumatic stress disorder (PTSD) and clients who have experienced traumatic events such as domestic violence and sexual violence. We offer a counselling and support services to clients using a range of frameworks tailored to the individual. 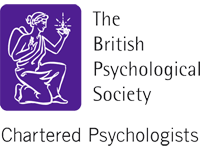 Our practice is client led delivering private, professional psychological services. Katherine Goodsell Psychological Services is now part of The Practice MK and One Psychology. We have formed a new private practice due to the growing amount of services we provide. Katherine is still Principal Psychologist for both and you will still receive the highest standards of psychological services. Read more to find out about our new practice. We now accept Bupa clients for counselling and therapy. Check your Bupa Health Care Policy to see if you are covered for counselling. People choose to have counselling or therapy because they are experiencing difficulties and distress in their lives. Taking the step forward to seek counselling is a positive and empowering decision and should never be seen as a sign of weakness or failure. Everyone at some stage in their life has needed someone to talk to, someone to listen and someone who can empathise with the problem being experienced. Find out more about our counselling services and how we could help support you or someone you know. Third Thursday of the month from 12.30pm to 2.30pm. Autism | what is it? So what is a Speech and Language Therapist? A community for those of us who suffer from Depression, PTSD, Bipolar Disorder, and so many more. Autism MK is a Facebook Group which is the home of the Milton Keynes Autism Partnership Board for adults. Your email has been registered and you will now receive updates from my blog. "It's official; dieting does make us depressed"
Information on how you can recognise when you may be having difficulty in managing your aggression levels. Depression - What is this condition that affects 1 in 4 of the population at some point, can it be tackled and what steps can be taken?